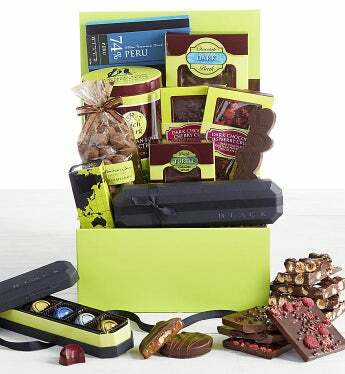 The bold, satisfying flavor of dark chocolate takes center stage in this elegant green gift box, which features an extraordinary array of gourmet dark chocolate creations by Norman Love Confections’ artisan chefs. They'll love the Dark Chocolate Walnut Toffee, Dark Chocolate Inclusion Bars, Single-Origin Chocolates, Dark Chocolate Smoked Almond Turtles and so much more! Certain to impress!